You will never run out of things to do on your Cancun Vacation. Here are a few ideas to get you started. You can take advantage of a wide range of watersports, play on some championship golf courses, take the family to one of the world renowned eco-parks, or just lie back and be pampered at one of the luxurious spas. Cancun’s watersports will please even the most avid enthusiast, there is some of the best scuba diving, snorkeling and sport fishing in the world. You can also charter your own sailboat with crew and equipment for an adventurous day on the open sea or a romantic sunset cruise. 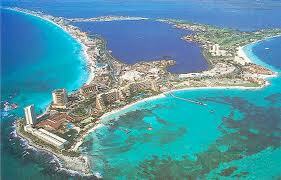 Cancun adventure tours are great for the whole family. You can enjoy some of the best zip lines in Latin America, go mountain biking, drive through the jungle in open top jeeps and swim in cenotes. The adventure trips can also be customized to be as challenging as you want. Cancun Mayan Culture is something to see. The culture still holds mystery and majesty. There are the amazing archaeological sites to explore, such as Chichen Itza, Tulum and Coba to mention only a few. Best of all the sites are located well within the reach of bus or car. Take one of the many tours so you don’t miss a thing. Cancun restaurants offer a varied choice of cuisine, with everything from traditional Mexican restaurants to modern and trendy restaurants along the Nichupte lagoon. You are sure to find something for every taste and budget. Cancun nightlife is a major attraction for many of the visitors. The Hotel Zone has some of the best nightclubs in the world that play everything from salsa to disco and R&B and live venues. You will find something to suit any age and taste. As I said before Cancun championship golf courses are every golfers dream. They are located in some of the most beautiful natural settings imaginable and they meet the highest standards set by professional golf tournaments and expert golfers. Don’t miss visiting Puerto Morelos which is a friendly, laid-back fishing village located only 35 km from Cancun. You will be enchanted by the bohemian, tranquil atmosphere and natural beauty and charm which will transport you a million miles away from the glitz and glamour of Cancun. A vacation to Cancun is a memorable and beautiful trip and you will never run out of things to keep you busy, unless you don’t want to be busy but would rather lay on the beach and soak in the sun and magic of this little bit of paradise.